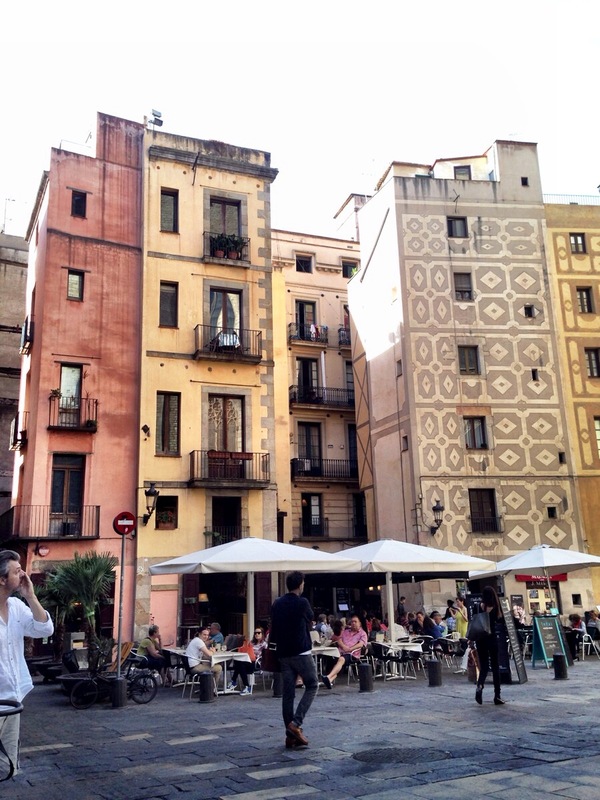 Home >> All >> Drinking (and grabbing a bite or two) in El Born, Barcelona. Drinking (and grabbing a bite or two) in El Born, Barcelona. 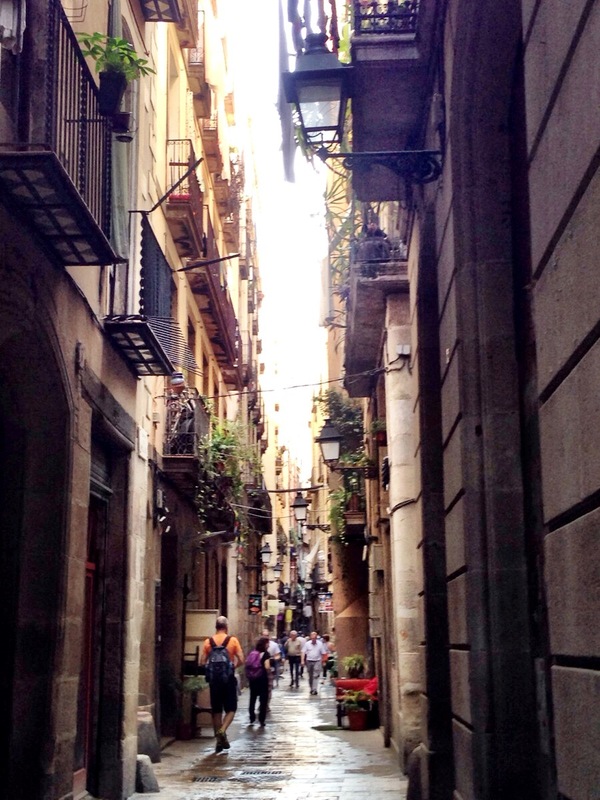 I’m currently hanging out in Barcelona and getting to know the city. It’s not only a cheap holiday destination but a gorgeous city to wander around. As a wine blogger, I’m always interested in finding good wine shops. 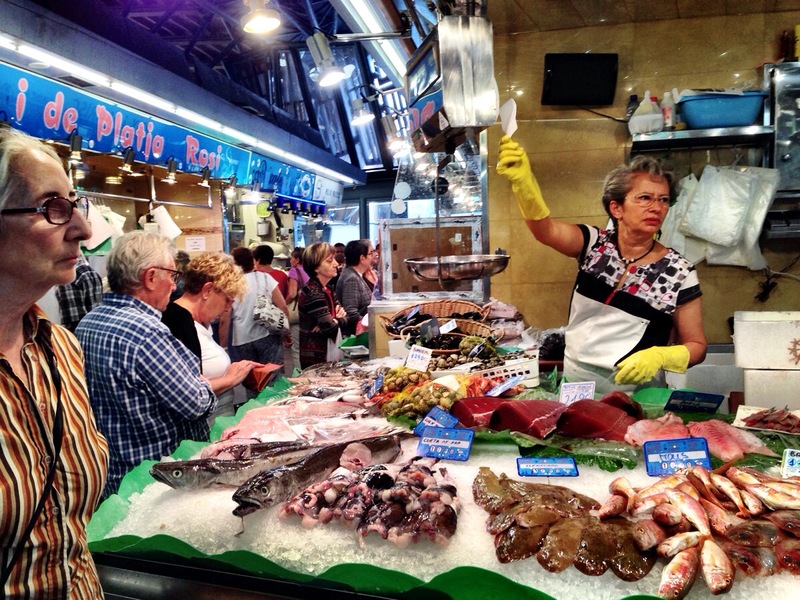 Barcelona has some really great wine bars and shops to explore. Of course, Barcelona has also jumped on the natural wine bandwagon and there are a few bars, especially in the Born neighbourhood that cater to the natural wine enthusiasts. I stumbled across two of them one night, L’anima del Vi and El Soplo. I recognized a fair amount of wines from France and Italy as well as some Spanish wines lining the walls of both venues. L’anima del Vi is bigger then El Soplo, having a good sized seating area with tables for drinking the night away. El Soplo is more of a hole in the wall but very atmospheric. L’Anima del Vi has a small tapas type menus to soak up the vino and El Soplo serves free tapas with all the wines they serve. 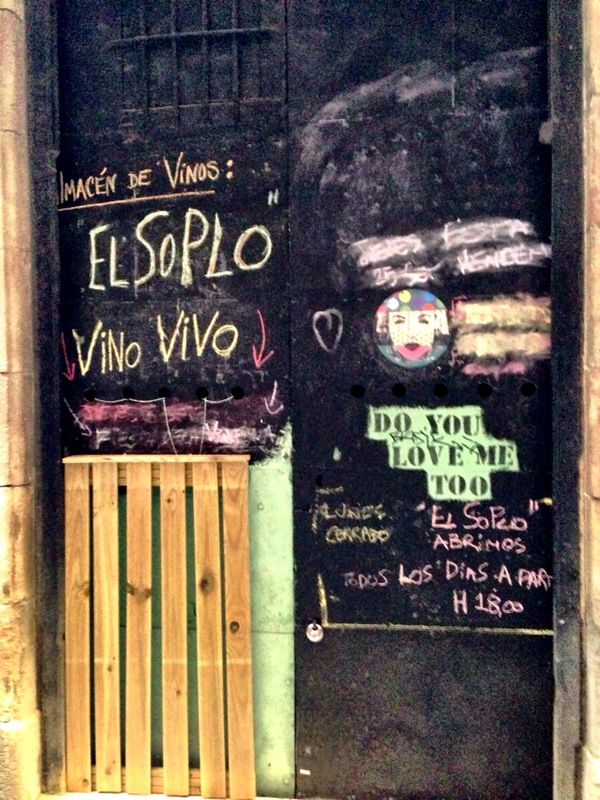 The prices were average for a natural wine bar but more expensive then your typical tapas and vino bar in Barcelona. Both were within a stone’s throw of the Santa Margarita del Mar church which is located in the middle of the Born and dates from the 14th century. 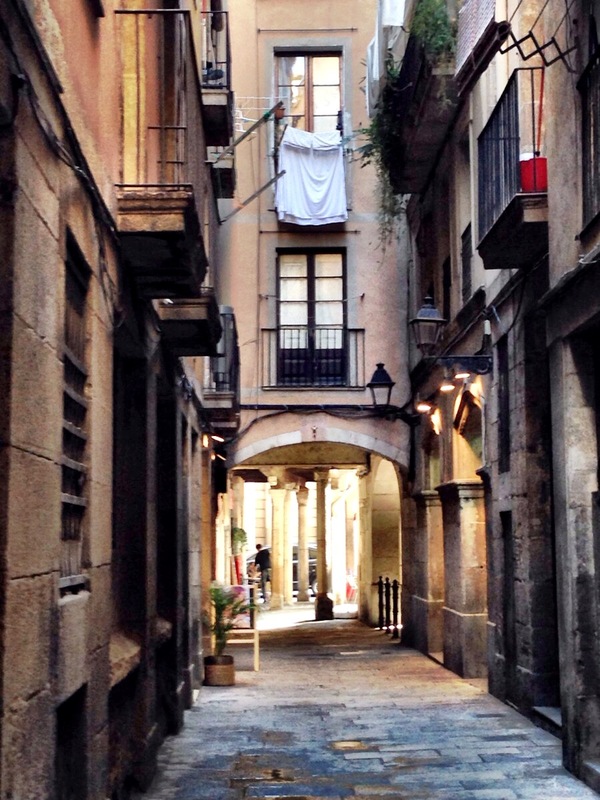 The Born along with the Barrio Gotic forms the oldest part of the city and it’s easy to wander the warren of alleyways, stumbling across cute boutiques, restaurants and wine bars. 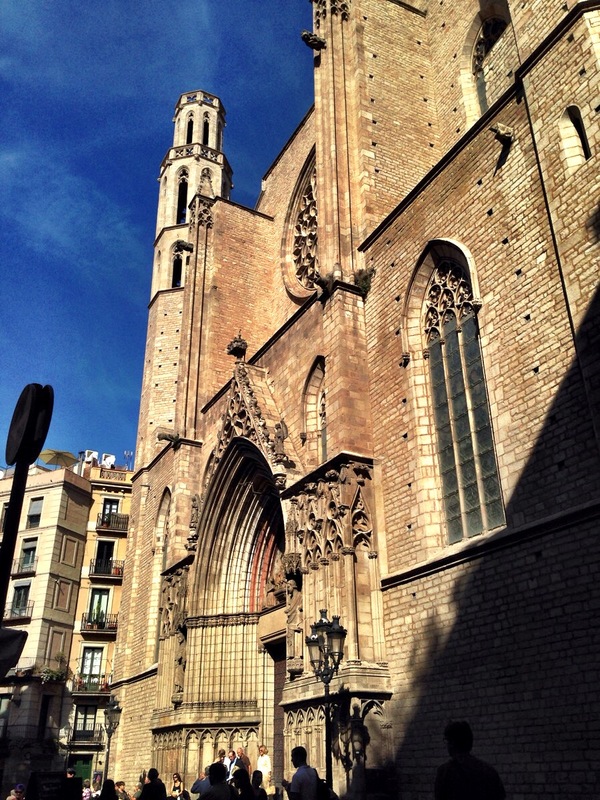 The Picasso Museum is also in the Born and just around the corner from Santa Maria del Mar church. Another must visit while in the Born neighbourhood is Vila Viniteca. A good sized wineshop, they specialize in wines from all over the world and have extremely knowledgeable staff (one of the requirements to work there is that you must have sommelier qualifications). Don’t worry if you don’t speak Spanish, the staff there are multi-lingual and are more then happy to help you with your wine choices. Vila Viniteca also has a gourmet food shop across the alleyway where you can buy various European gourmet treats and they even have a cheese cellar. They buy their cheeses fresh and then age them in the cellar. I’ve seen those types of cellars in London and know it’s common in France but this is the first one I’ve come across in Spain and my friend (who works there) said it is unusual for Spain. 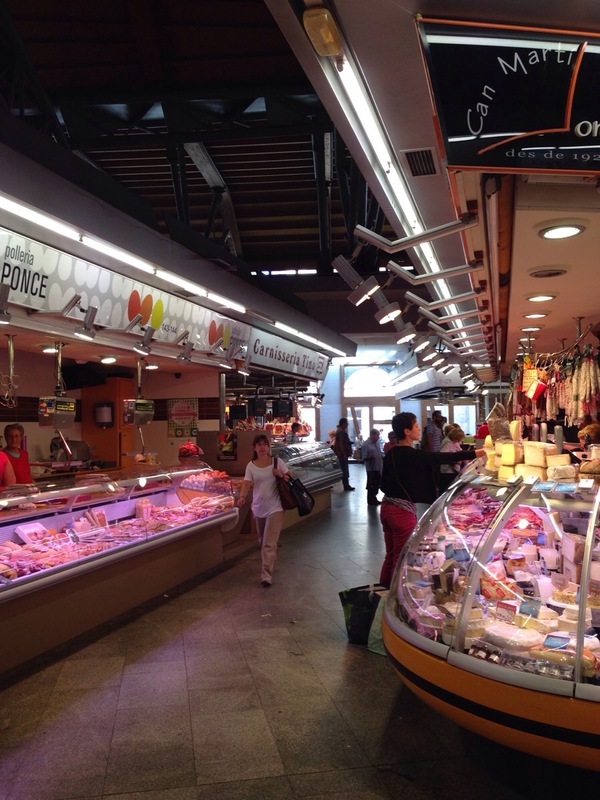 While you’re in the Born, you can also visit the less well known market of Santa Catarina. 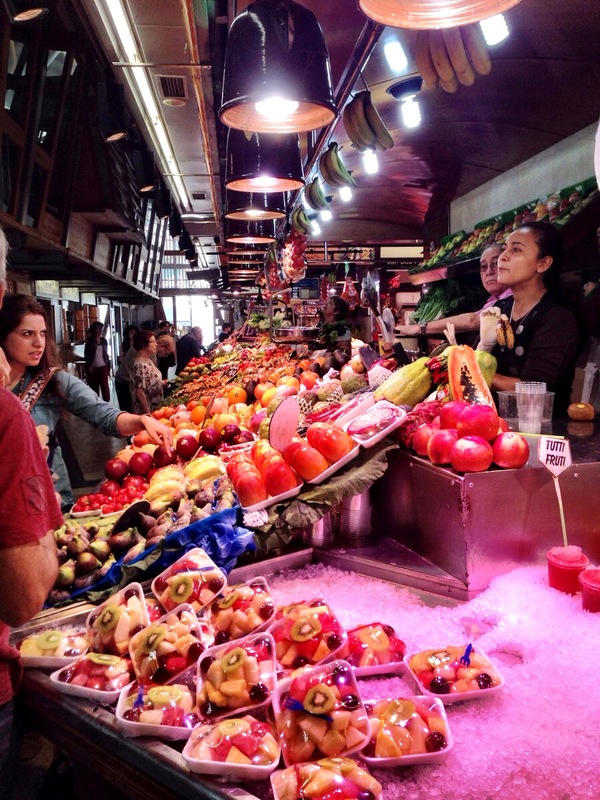 Everyone knows the famous La Boqueria market of Barcelona but Santa Catarina is where the locals go to shop. While it is smaller then LaBoqueria, they still have plenty of fresh produce, meats and of course the ham that Spain is so famous for. Santa Catarina has a real ‘locals’ feel to it but the people there are extremely friendly even if you’re a tourist. I found that many of them spoke English and even if they didn’t, a smile and a few words in broken Spanish go a long way. 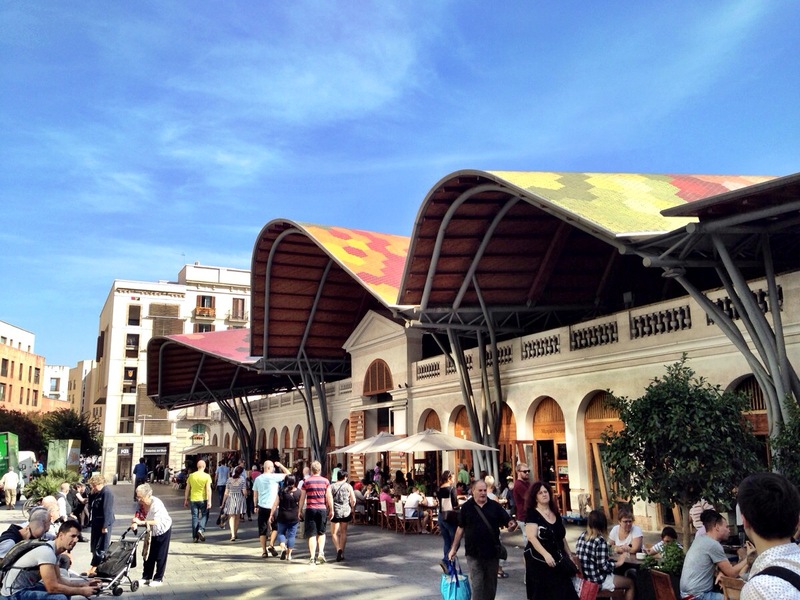 The market has an amazing, colourful undulating roof, which is easy to spot from the top of Barcelona Cathedral. The market was renovated in 2005 and was originally built in 1845. The market is open Mondays and Tuesdays 7:30am – 2pm, Wednesday and Saturday 7:30am – 3:30pm, Thursday and Friday 7:30am to 8:30pm and closed on Sundays. The Born neighbourhood is but one small part of the city but it’s easy to lose yourself here. I’d definitely recommend getting lost amongst the alleyways of the Born as you never know what you might find. I was trying to locate a wine shop in Barcelona and came across your site. We wanted to have wine, cheese and meats, and possibly a little dessert in our room one night. 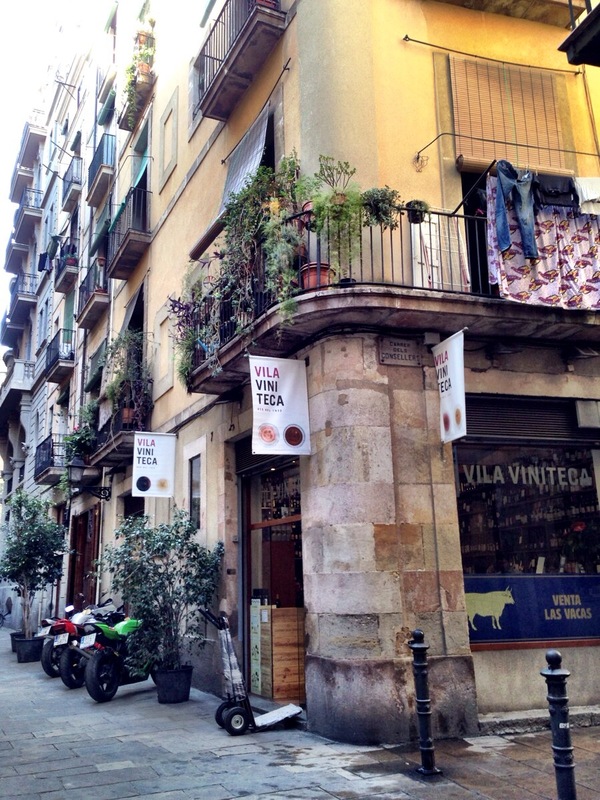 Vila Viniteca, and the nearby gourmet cheese shop, in el Born is just what I was looking for. Congratulations on your wonderful site and thanks for all the helpful information. Have you made it to California yet? Hi Chuck,Glad I could be of help! I’m planning on doing a bit on my favourite Barcelona tapas bars in the near future so keep an eye out. I’m actually from California but as I’ve lived in Europe for so long now, it’s always an adventure when I do visit the CA vineyards.